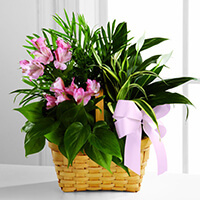 Provide comfort for the family of Grazia Maria Cozzetto with a meaningful gesture of sympathy. God called Grazia Maria peacefully surrounded by her loving family on April 10, 2019 at the age of 84. She will be forever missed by her loving husband of 67 years, Francesco. Cherished by her dear children, Maria (Tony Angeloni), Sr. Lina, Sandro, and Silvano (Josie). Proud nonna to, Clara, Daniela (Adrian Mancinelli), Marco, Graziella, and Giuliana. Adoring bisnonna to Matteo. She will be deeply missed by her sister in Italy, Giuseppina (Alberto Rizzini). Loving zia to Giuseppe, Marianna, Andrea. Her brother Gino. Grazia Maria is now reunited in Heaven with her loving parents, Rosalbino and Dorina Patella and her brother Michele (surviving wife Vanda) with their children Dorina, Annamaria, Rosellina. She will be held dear in the hearts of her family, relatives, and many friends. Visitations will take place at the DeMarco Funeral Visitation Centre (8003 Weston Rd. 905-850-9500) on Monday April 15, 2019 from 2-4 & 6-9 p.m. The Funeral Mass will be celebrated on Tuesday April 16, 2019 at 11 a.m. at St. Augustine of Canterbury Roman Catholic Church (80 Shoreham Dr. west of Jane St.). Entombment to follow at Beechwood Cemetery (on Jane St., south of Hwy 7). In lieu of flowers, donations for Masses offered for her soul may be made to St. Augustine of Canterbury Church, Radio Maria Canada or The Heart and Stroke Foundation. 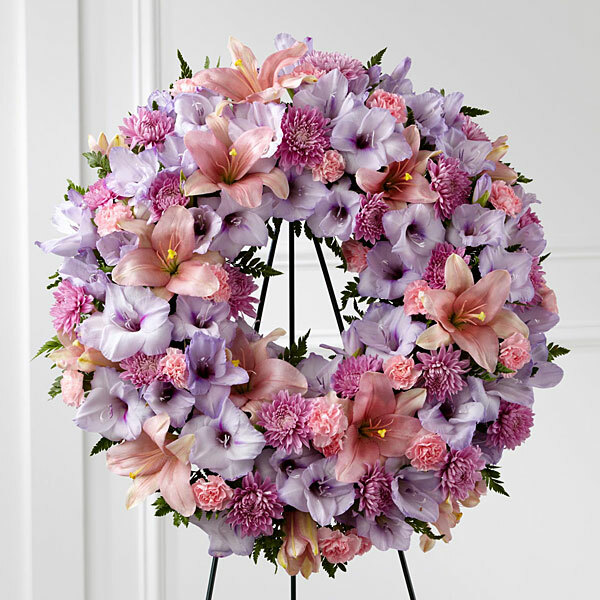 To send flowers in memory of Grazia Maria Cozzetto, please visit our Heartfelt Sympathies Store. We encourage you to share your most beloved memories of Grazia Maria here, so that the family and other loved ones can always see it. You can upload cherished photographs, or share your favorite stories, and can even comment on those shared by others. Tim Piazzetta Trattoria, Andrew Marsh, and others have sent flowers to the family of Grazia Maria Cozzetto. Tim Piazzetta Trattoria purchased the The FTD Sleep in Peace Wreath for the family of Grazia Maria Cozzetto. Andrew Marsh purchased the The FTD Deepest Sympathy Arrangement for the family of Grazia Maria Cozzetto. Partecipiamo al Vostro grande dolore, ricordando sempre la cara cugina Grazia. Che il Signore l'accolga con braccia aperte nel Suo Regno Eterno. Sentite condoglianze. Cugini Trieste e Silvana Patella e famiglia purchased the The FTD Living Spirit Dishgarden for the family of Grazia Maria Cozzetto. Partecipiamo al Vostro grande dolore ricordando sempre la bella cugina Grazia. Che il Signore l"accolga con braccia aperte nel Suo Regno Eterno. Condoglianze, cugini Trieste e Silvana Patella e f purchased the The FTD Living Spirit Dishgarden for the family of Grazia Maria Cozzetto.